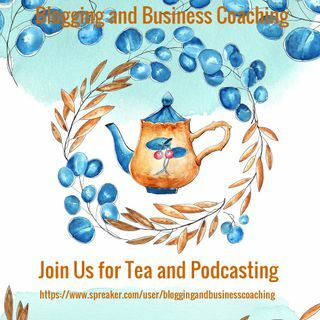 Podcast of Blogging and Business, support for bloggers, collaborations, and business ownership. Learn tips and strategies for successful blogging, coaching, and business planning. What happened the last time you sat down at your computer to write a blog post? Did it come easily to you, with the words flowing effortlessly through your fingertips? You’re not alone. Writing isn’t everyone’s strength and the stress of writing a blog post is compounded when you don’t know what to write about or don’t know what your ... See More audience needs to hear about. Plan your content to brand, customize your passions, and develop your coaching practice. This planner podcast includes exercises, where you can build your content around giveaways and packages for your clients/customers/members. Learn how to better manage your blog, content, and coaching programs. Listen to training information on how to better manage your business, and unique tips on sales, getting clients, viewers, and more! Creative Coaching Digital Library is a unique, coaching and training library and resource directory, www.creativecoachinglibrary.weebly.com that teaches and engages entrepreneurs, lifestyle fanatics, business owners, and bloggers, on the topics of business planning, branding, digital product creation, and signature packages. Our ... See More Creative Coaching Lab is here for you to listen in, take notes, and learn all the steps creator and creative entrepreneur Cynthia Crosby is taking to grow her business and build her brand. In addition to the best tips, and how to''s for the business planner collection featured within Creative Coaching Library. Stay tuned, learn, grow, and give us some feedback on how we have helped.